Sticking to your diet can be hard. Epic cheat meals are a way to make dieting easier. Motivate yourself so that by sacrificing now, you get a future reward. Convincing the brain that you’re not really on a diet is an effective tool. Sticking to your diet can be fueled by a cheat meal of pancakes, pizza, and chocolate brownies. The trick is to imagine those meals as a ‘reward,’ and focus your energy on what you will eat in the future. The Rock and Zach Efron announced they will be starring together in a remake of Baywatch. Get The Rock Workout and Diet For Pain & Gain here. See Dwayne ‘The Rock’ Johnson’s Hercules workout next. The Rock even created A Hercules Fitness challenge for his fans to do. Hercules used a similar approach to Pain & Gain. The Rock ate clean, 7 times a day, and worked out hard. Then, he celebrated with an epic cheat meal, and a bottle of special tequila. Most people have a hard time sticking to a diet. So, find a strategy that works for you. 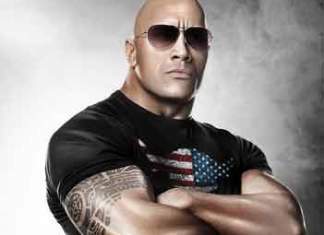 The Rock motivates himself by knowing if he sacrifices now, he’ll get a later reward. 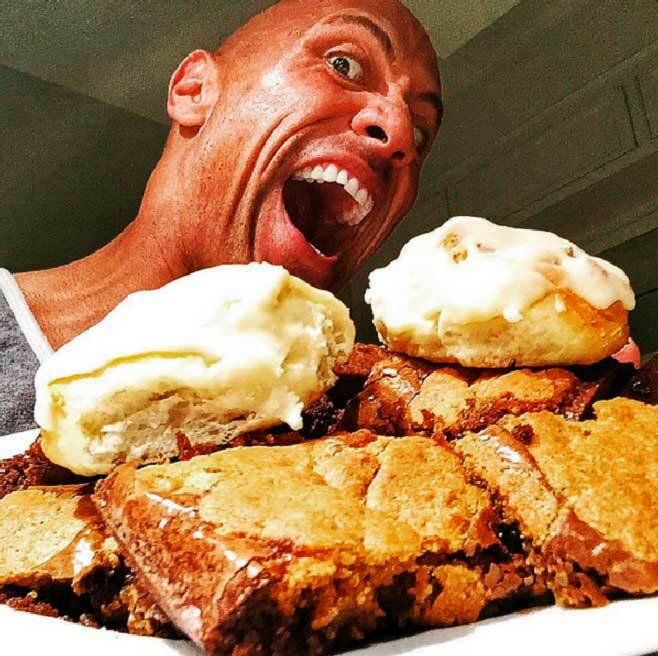 To be like The Rock, maintain your diet by planning your next cheat meal. That’s what The Rock does. 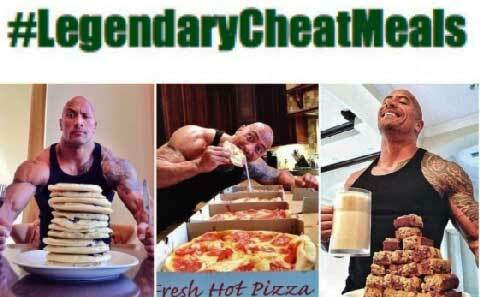 He is happy resorting to planning “Epic Cheat Meals” months in advance. London. Just Landed. Insisted my two dates be waiting in my hotel. Ms. Rare and Ms. Straight Up. He was referring to a rare steak and a bottle of tequila, drinking it straight up. When you diet to lose weight, your body should want to let go of fat. This comes not only from exercise and diet, but also being in the right state of mind. If you’re unhappy with what you’re eating, stress hormones will maintain fat on your body. Instead, motivate yourself by thinking about a future meal. By tricking the brain into thinking about your next cheat meal you can avoid unhappiness. Find ways to be happy with what you’re eating. If you can’t, then get your brain to focus on your next cheat meal, instead. That’s the key when it comes to sticking to your diet. Damn you Bieber! #SheClearlyDidntGetTheMemo #PricelessMoment ?? What would your cheat meal be?